Kapalbhati is classified under both Pranayam and Shat Kriya (Cleansing Process). It requires least of efforts and gives great returns. Regular practice of Kapalbhati detoxifies all the systems in our body. The Kapalbhati described here in the post is what we have learned from Shri Nikam Guruji of Ambika Yog Kutir, who was a Siddha Purusha (enlightened person) in Hatha Yoga. In Sanskrit, the word Kapal means ‘cranium’ or ‘forehead’ and Bhati means ‘splendour’ or ‘knowledge’. 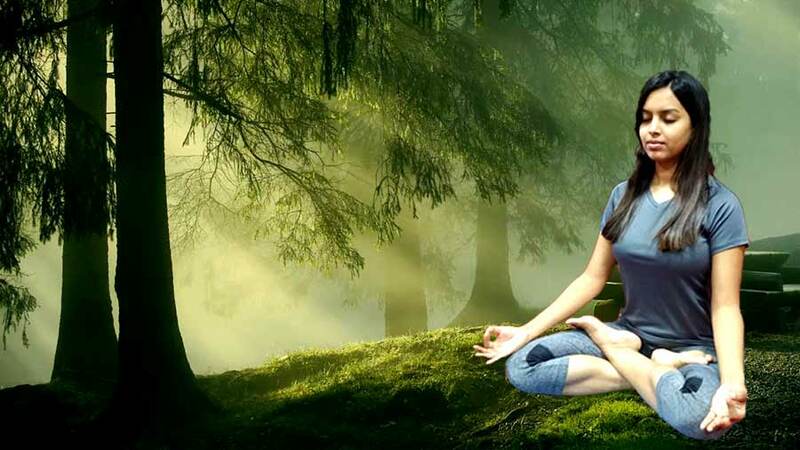 Hence Kapalbhati is a breathing technique in Yoga, which cleans the neural path in the forehead or in simple words, it brings a state of clarity to the frontal region of the brain. Sit in Padmasana or any comfortable posture with spine erect. First breathe out (do ‘Rechaka’) partially and then breathe in (do ‘Puraka’) partially. Close the left nostril and start breathing in and out (Puraka and Rechaka) through the right nostril at a brisk rate but in a rhythm. Concentrate on the Rechaka (exhales) and let Puraka (inhales) be passive and spontaneous. The exhalation is active and a bit forceful, whereas inhalation happens naturally. There will be a slight friction in the inner walls of the nostril. Continue as long as it can be done effortlessly with a maximum of 54 breath counts. End it with a prolonged exhalation. Hold the breath outside as long as is comfortable (Bahir Kumbhka or external retention of the breath). Then inhale slowly and completely through both the nostril. Hold the breath inside for a few seconds (called Antar Kumbhaka or internal retention of the breath). Exhale slowly from both the nostrils and relax. This completes Kapalbhati of the right nostril. Repeat the same process by closing the right nostril and activating left nostril. The number of counts should be the same with both the nostrils. After each round, a rest of half a minute can be taken. After practicing the Kapal Bhati with both the nostrils individually one by one for a week, start the practice of Kapal Bhati with both the nostrils together and simultaneously. Sit in Padmasana or any comfortable posture with the spine in an upright position. Put the palms on the knees and close the eyes gently. Do Rechak partially and then Purak partially. Start Rechaka and Puraka through both the nostril at a brisk rate. The exhalation is active and a bit forceful, whereas inhalation happens naturally as explained above. Continue as long as it can be done effortlessly with a maximum of 54 breath counts initially. Then inhale slowly and completely. Practice three rounds of this variation. The rhythmic breathing counts initially should be 54 initially, but once a regular practice has been established, it can be taken up to 108 counts. If you do Kapalbhati as explained above with a very little abdominal movement, it is good for all and is harmless. But if Kapalbhti is done with forceful contractions of the abdomen, then people suffering from – heart ailments, high blood pressure, Vertigo, slipped disc and duodenal ulcer should avoid it. Kapal Bhati has a cleansing effect on the lungs and is a good practice for respiratory disorders. It purifies the Nadis and removes sensory distractions. The practice of Kapal Bhati cleans the neural paths in the forehead. It energizes the mind for mental work and removes sleepiness. Digestive organs are toned up and the gallbladder is purified. Kapal Bhati purifies the blood and cures skin diseases. Steadiness of the body and the mind is attained facilitating higher concentration. Kapalbhati is classified both under Pranayama and Shatkarma, the purification process. It resembles the movement of a blacksmith’s bellow.